I didn't see a thread for this, so if there is one just delete this one. Re: Gallery: Where You Sleep! As of right now *look at the floor* there. Yeah, ive been on a floor for the past two weeks. floor? i would result To chair rather then a Floor. Mom and dad took the bed, my brother jacked the couch, and the two chairs in the Hotel were hella uncomfortable. And I do have an air mattres. But either way, its still the floor lol. 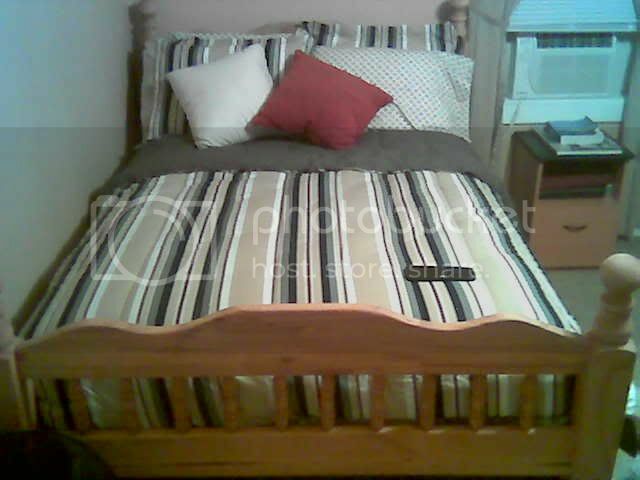 Yeah I like my bed My mom=clean freak kinda. So if I don't make it up she does, lol. Anyone else post one? Wow...someone must be ridiculously bored to be making these Gallery threads. What's next? "Gallery: Your Bathroom"? i don;t see why not. Or like "Gallery: The cup you use daily"